Prezentare Christina and Grant start in New Orleans. Their two new friends start at the headwaters of the Mississippi River in Minnesota. They planned to meet at the Gateway Arch in Saint Louis. But they didn't plan on getting involved in a very strange mystery which takes them over locks and dams, past Tom Sawyer's cave and past many other fascinating sights along the mighty Mississippi. Come along for the ride and see Renaissance Learning, Inc now has Accelerated Reader quizzes for all of the Carole Marsh Mysteries To visit their website, click here. 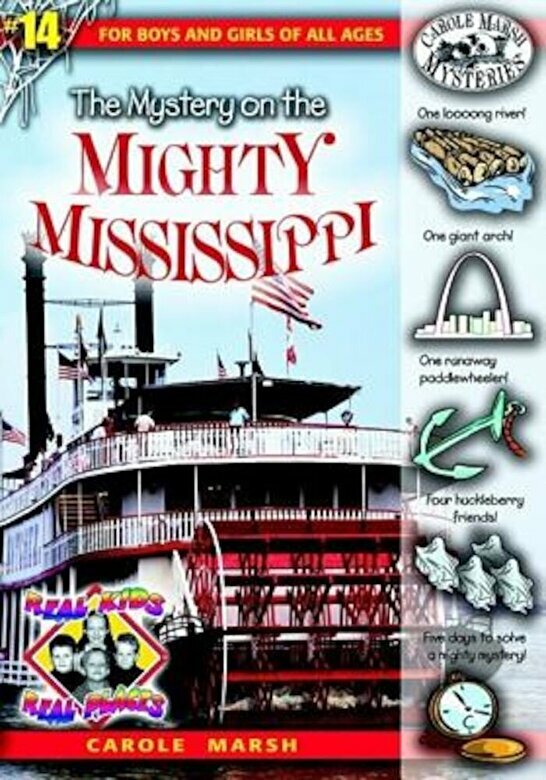 The Mystery on the Mighty Mississippi is recommended by Sylvan Learning's Book Adventure reading program. Book Adventure is a FREE reading motivation program for children in grades K-8. Sylvan Learning is the leading provider of tutoring and supplemental education services to students of all ages.